While we were in Chicago, Illinois for the Van Arts Pixar Artist's Masterclass (review coming soon) we thought it would be fun if we took our iPad around to get photos of our Pixar fan art around the city - some with known landmarks in the background and others just in places that were caught our eye. 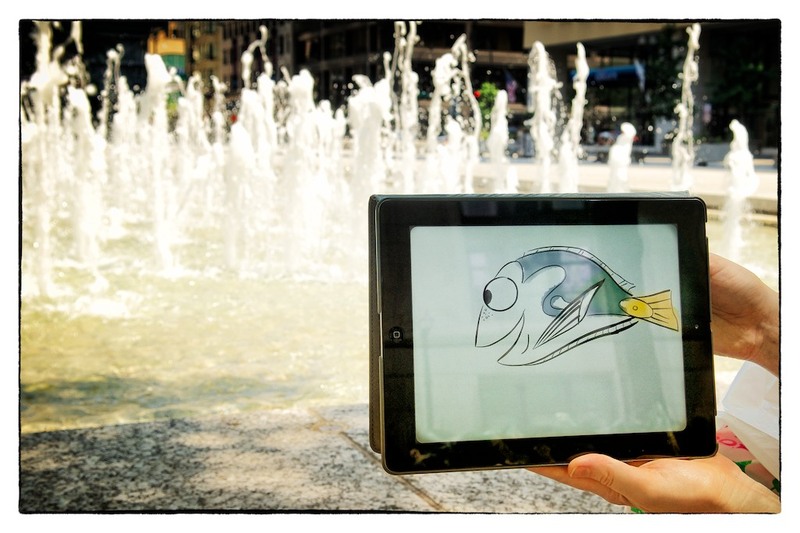 Included are the shots we took as well as the original sketches from the iPad. 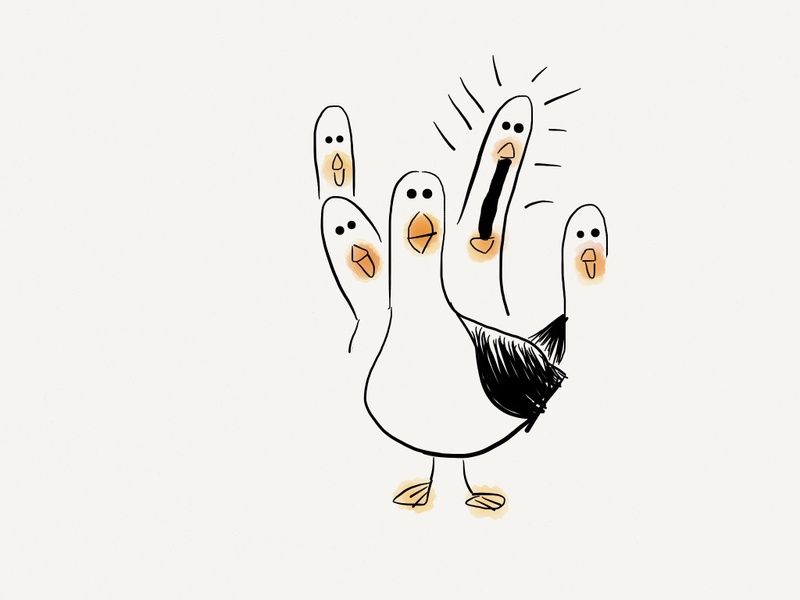 For the drawings that can be found in the "learn to draw" series of books, we included the link to the book below as well (in case you also want to draw these little guys yourself). 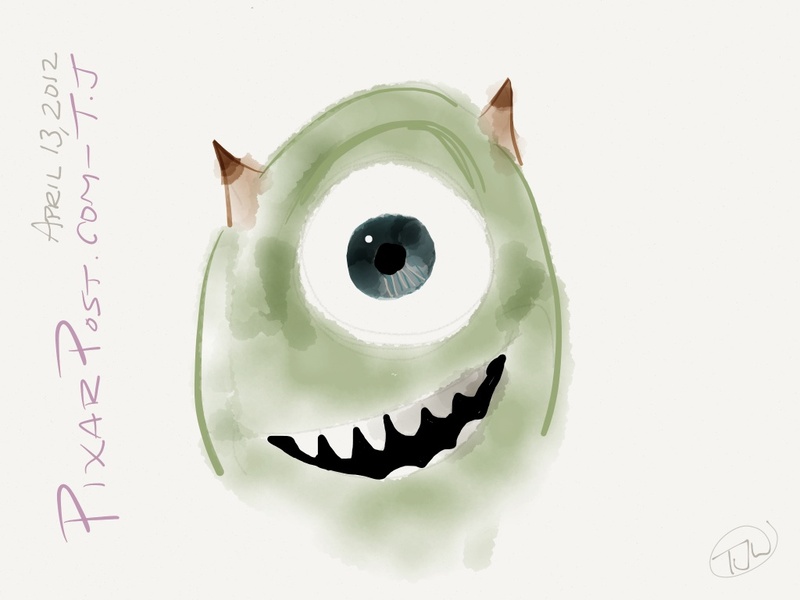 Also, all of these drawings were completed using the Paper app for the iPad and using the Bamboo Stylus for iPad. 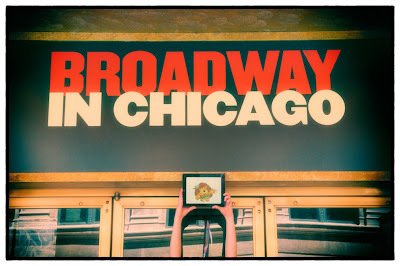 It would only make sense that Mr. Pricklepants would find the theater district, right? 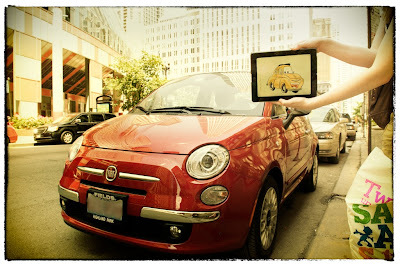 Luigi was excited when he spotted another Fiat - we had to pull him away. Mr. 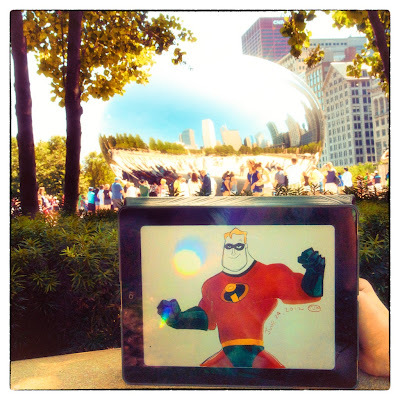 Incredible was confused when he saw the bean in Chicago - he thought for a moment it might be the Omni droid. Dory was excited to see some water - it was hot out! Even the pigeons were kind of annoyed by the seagulls - they just kept yelling, MINE! 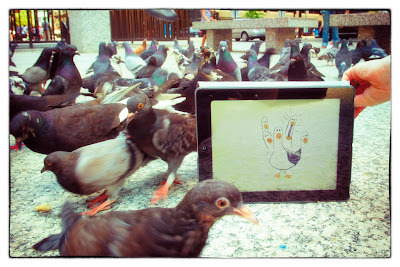 We thought the pigeons may have had it coming! 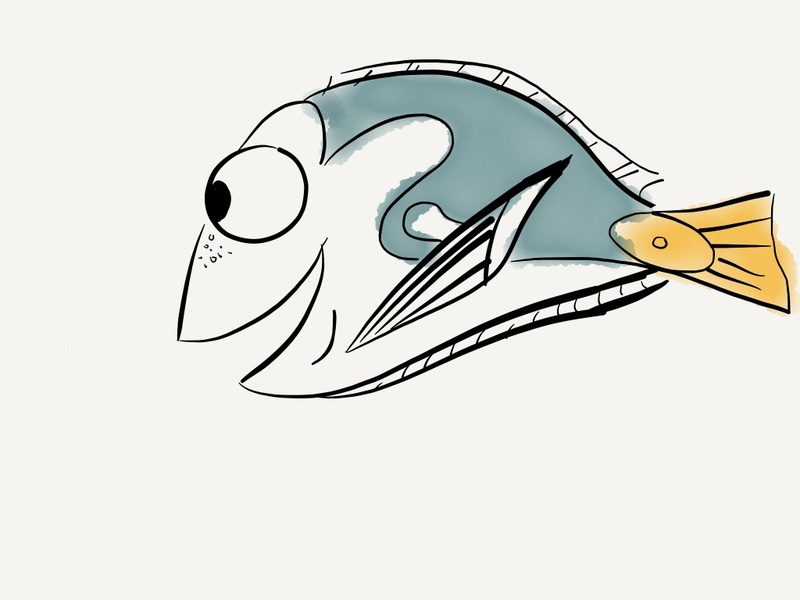 This drawing came from a Finding Nemo mug we have. 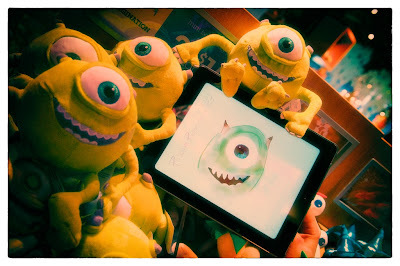 Mike and Sulley wanted to stop off at the Disney Store and see their buddies. 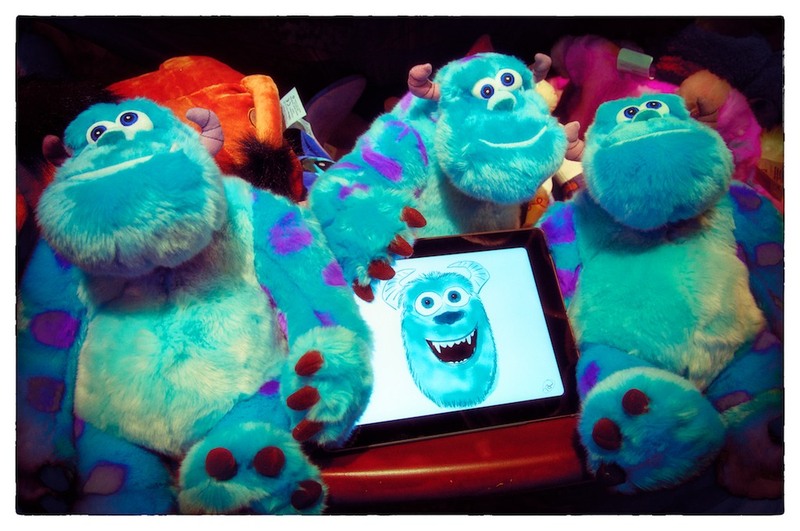 The drawings of Mike and Sulley were interpretations from the cover of the Blu Ray. Hope you enjoy the fan art - if you have any requests of characters you'd like to see, let us know.